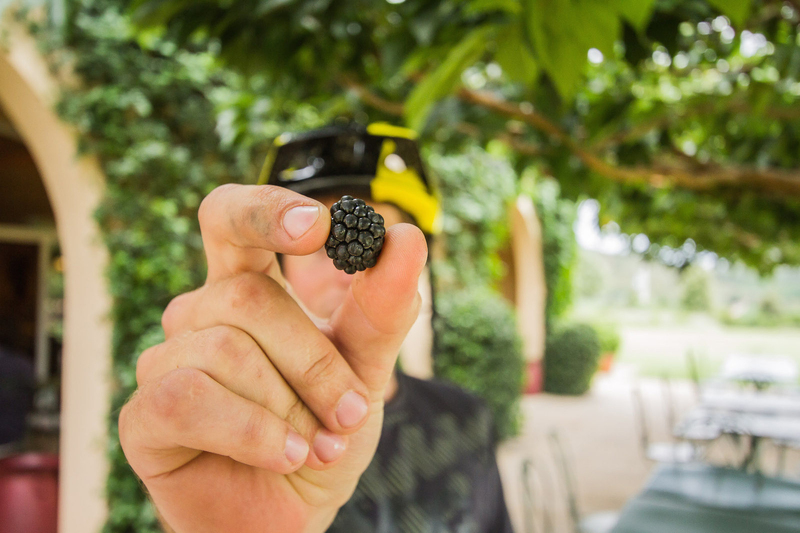 A bicycle tour of the finest Tuscan countryside, visiting the region’s most famous vineyard. Rent a 2017 Giant-Liv touring or e-bike to join us for this journey. 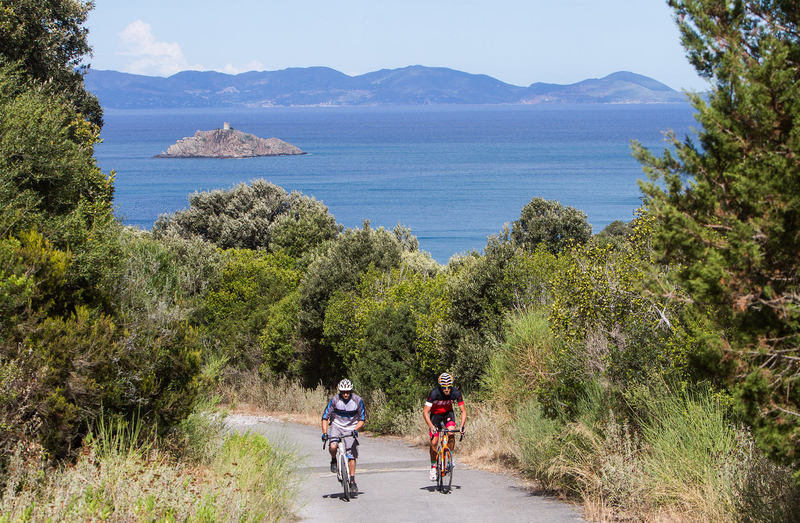 An on- and off-road bicycle tour of a medium level along the stunning “Via delle Dogane”, perched over the glimmering Mediterranean sea, through the historic village of Castiglione della Pescaia and crossing through the peaceful countryside of the Marchesi Antinori vineyard to La Fattoria Le Mortelle. 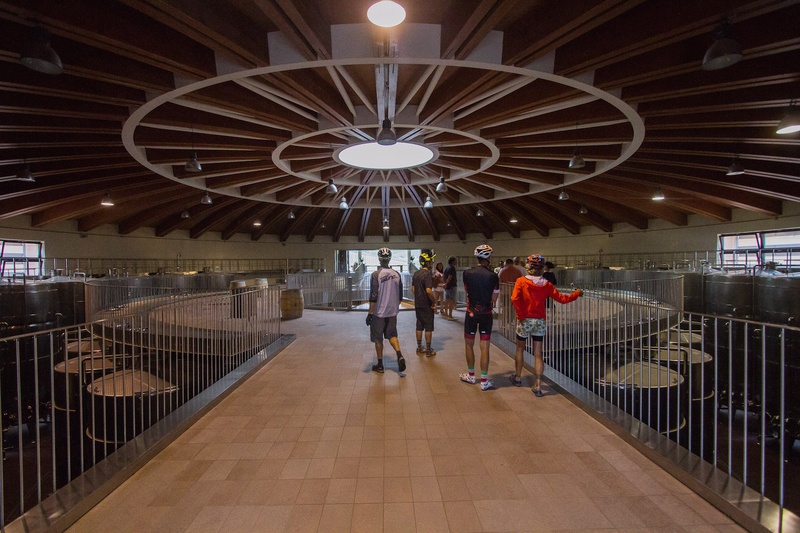 Here we take a visit of the property and its wine production, sample its wine and organic products*, then ride back to Punta Ala Trail Center. Quotation upon request according to the number of participants with/without bike rental. (*) selection of three wines, Vivia, Botrosecco and cru Poggio alle Nane, accompanied by a choice of cheese and cold cuts with organic jam Le Mortelle and croutons with vegetables and olive oil. After lunch and the visit of Le Mortelle wine cellar, we ride uphill to Vetulonia and then to the small village of Caldana. From here, we ride through the forest of Pian D’Alma as we make our way back to Punta Ala Trail Center. (*) For lunch, selection of three wines, Vivia, Botrosecco and the cru Poggio alle Nane, appetizer made of selection of croutons with cold cuts and cheese, main course of pasta with vegetable sauce, dessert. Are you looking for an accommodation for one night or more? We have special prices for bikers & families until October 23rd 2017 in Mobile Home, House Tent or camper/caravan pitches at PuntAla Camp & Resort.